Made to measure panel system, our Ducts are designed to beautifully complement and complete your washroom. 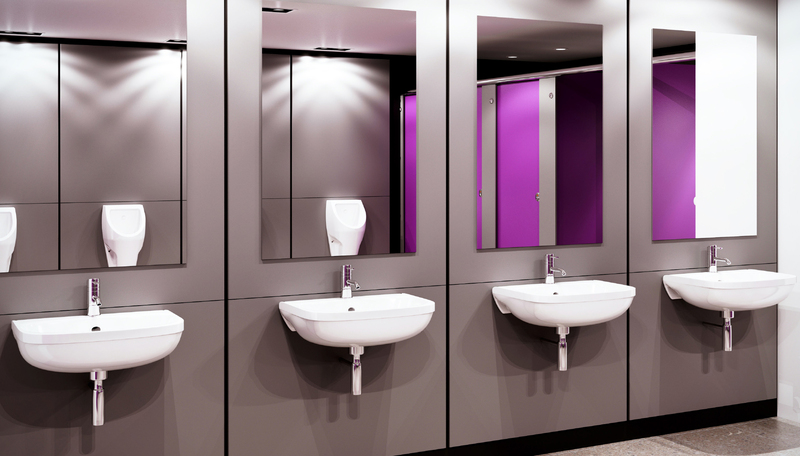 Duct panels should be more than just an afterthought, our duct panels are made to your exact specification & requirements and will finish your washroom project perfectly. The panels can be close butted or feature a matching or contrasting flashgap between the panels. Floor to ceiling or half height with lids, the choice really is yours to make. Choose MFC for an entry level system & the panels will be edged with 2mm impact resistant PVC applied with PU adhesive. HPL duct panels are available in many different colours including high gloss and ultra matt and the edges can be PVC lipped, postformed or laminate lipped to match the face. For areas of high use or humidity, including showers, SGL is the perfect answer as it is totally impervious to water & impact resistant. Our glass duct panels are back painted in a RAL colour of your choice, perfect for that high-end boutique look & feel. Opt for the luxury of a real wood veneer & the panels will be edged first with hardwood & then the veneer will be matched across the panels by our craftsmen so that the grain aligns through, perfectly. For a crisp, seamless appearance the panels can be faced & edged with solid surfacing materials such as Corian or Hanex giving you clean lines & an edgeless looking result. On trend are our polyurethane finished panels, available in varying levels of gloss or matt finish & hundreds of RAL colours, the edges will be finished to match giving a monolithic look to the panel.